It may be a tough pill to swallow, but your patients have more options for care than ever before. Urgent care clinics and retail clinics offer convenient in-person options and online video visits through on-demand services are becoming increasingly popular. Patients choose these options because of scheduling flexibility, lower transportation costs, and less time away from work. By offering the option to get care from you via video, your patients get the convenience they want without sacrificing continuity of care. Because video visits are more efficient than in-person ones, practices find that each provider is able to see more patients each day without working longer hours. Because telemedicine visits are often reimbursed by payers, this can have a dramatic increase on revenue without adding the expense of additional office staff or space. In addition, telemedicine reduces no-shows and last minute cancellations, ensuring that your time is used to its best advantage. During a telemedicine visit the patient and provider can be anywhere they like. This gives providers the option to work from home part of the time, or to see patients outside of traditional office hours. In fact, many providers find that telehealth technology helps them maintain a healthier work/life balance. Medical office workers love telemedicine because it makes them more efficient, removing the administrative burden of some in-person visits, giving them more time to focus on things that really add value. The approach leads to calmer, less crowded waiting rooms and less risk of catching a communicable illness. Of course, your staff will also be delighted if improved profitability makes it possible for you to increase salaries or offer additional benefits. Telemedicine improves health outcomes by making it easier for patients to comply with follow-up instructions, increasing engagement in medication management and lifestyle coaching, and easing the burden of managing chronic conditions. Patients report being as satisfied, or more satisfied with encounters conducted via video. 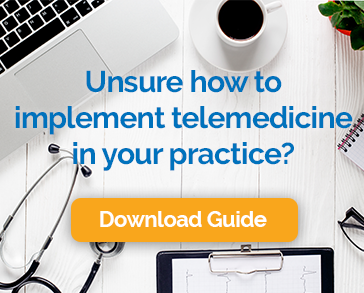 These are just a few of the ways that telemedicine can transform your practice in ways that are great for you, your patients and the bottom line. These advantages explain why video visits are rapidly moving from new and novel, to a standard method of care.